Today, GoldFire Studios, an independent game developer based in Oklahoma City, launched its Kickstarter-funded, HTML5 massively multiplayer game, CasinoRPG. 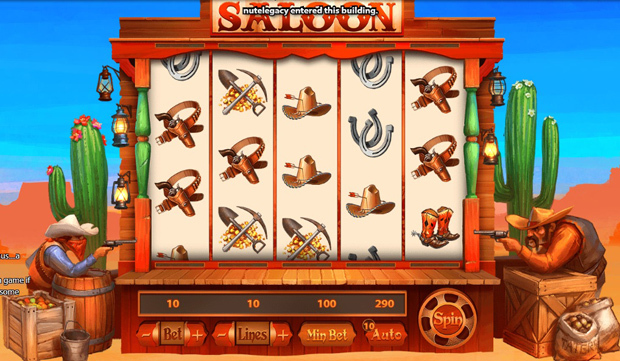 CasinoRPG features an open world that merges role-playing, tycoon and city-building with casino games like poker, slots, blackjack and roulette. Unlike other casino games, virtual winnings earned in CasinoRPG aren’t just numbers, they are used to design, build and manage casino empires and the evolving world around them. Thousands of social casino games exist today, but they all have one thing in common – you can’t do anything with your winnings. CasinoRPG changes this by creating a massive world around these casino games. Players start as janitors at a casino (all casinos in the game are owned by other players), and through jobs, missions and gambling, one can eventually work their way up to buy a plot of land and build their own casinos. CasinoRPG has been under development for over two years, most recently completing a successful Kickstarter campaign and closed beta testing in 2013. Open beta testing has been progressing since September of last year, with over 17,000 players actively participating. During this span, all of the artwork in the game has been completely revamped, hundreds of new features added and thousands of bugs squashed. While the direct development of CasinoRPG has covered the span of just a few years, GoldFire Studios’ founder, James Simpson, has been working towards this milestone for over a decade. He began developing games at the age of 13, with credits including Eternal Kingdoms, PokerRPG, BC Wars and the oft-controversial NexGen Wars – reaching millions of gamers from every country in the world along the way. As development on CasinoRPG expanded, Simpson grew the GoldFire Studios team to its current size of 3 full time members, with operations headquartered in Oklahoma City. GoldFire Studios is the first game development studio to launch in the city, but has helped to spearhead a growing game development community with the founding of the Oklahoma Game Developers meetup. The team sees the culture and community in Oklahoma City as a competitive advantage over more common hubs of development activity. From a technical perspective, CasinoRPG is a game that can be played on virtually any device thanks to HTML5. This has presented unique development challenges, but has allowed the same gameplay experience to be available across desktop, mobile, tablet and television. Rather than launching on Facebook or other platforms, a new in-house platform, GoldFire Network, will be hosting CasinoRPG on the open web. In addition, apps are available on the Chrome Web Store and Windows 8 Store. GoldFire Studios has made a mission of advancing the web as a legitimate gaming platform, and CasinoRPG is the first major step towards that goal. casino rpg is a social media site , though there is a few issues that need to be addressed and not ignored by the people whome own casino rpg. To get the best resalts is to lission to the people who play your game not out siders , 2/ learn to take cridasizem , and lission in sted of giving game bands or chat band,s. ” this is a exsize of the fredom of informanion act , also human rights act in all country to speek freely with out prejustace of one person then another , why is there favortisim going on on your site why is there children under 13 years old on your site , why are you teaching them to gameble at such a young age , why are you ignoring the people who is helping you have the #1 site in the world, why are you iggnorring what people are try ing to tell you , why are you chargeing every one different prices for your lot in cp,s on your game there is a lot of whys and how comes. ” you mention one time this is my site i will run it the way i want to and no one is going to tell me different ” why would you say this when people is trying to help you not hurt you ? There is menny question s that have gone un answered , if i was 24 or 25 i would not want to asnwer question eather is it a salf im better then you deal and I do not want my game better ,,, why why why , how comes , whys, or why nots , every sugesion you get you through it in your trash can why? tso sorry this is the way the people are starting to feel who is playing yougame casino rpg.com. it is a awsume sight if you would lission to us not out sider who do not have a clue.the voice of meny people, the change starts to day. CasinoRPG Launch Review – Casino Tycoon Meets Habbo Hotel?